Opening night for Greatest Hits: Martini Ranch was a major success. A big thank you to everyone involved who made it happen. I want to thank everyone who showed up to make it a super fun night. And a special thank you goes to James Cameron for his support and coming to see the exhibition in person. I know he loved the photos and catching up with him was the best part. 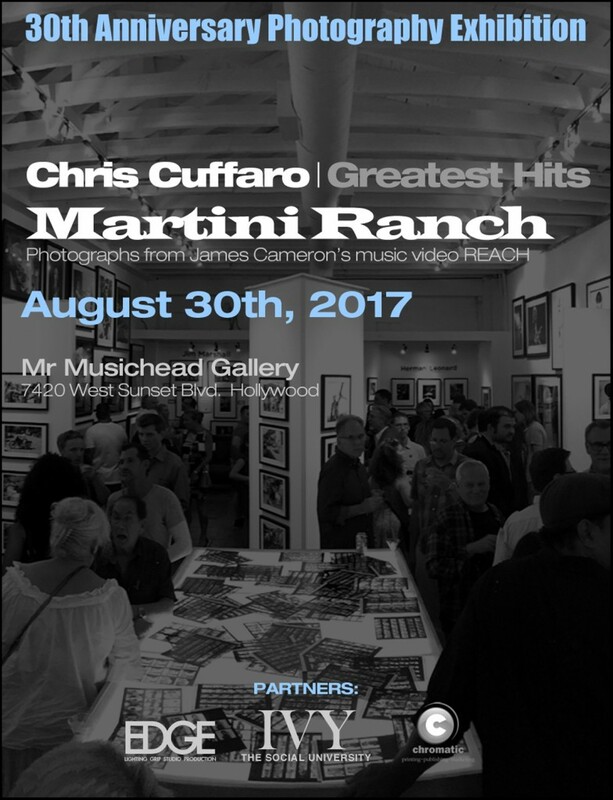 I had so much fun talking with old friends, meeting new people and sharing my memories of the Martini Ranch REACH video shoot. It was a great way to celebrate the 30th Anniversary of an amazing music video! It was like a High School reunion, but with really talented people. I want to give a big hug and shout out to one man… Andrew Todd! Andrew was the creative force behind Martini Ranch back in the day. I hadn’t seen him for 30 years and having him there made my night. Reconnecting and catching up with Andrew was one of the best parts of the whole night. I need to thank Sam, Kat and Todd at Mr Musichead Gallery for ALL their support. They put up with me and support my crazy ideas. I’m so grateful that they do. I hope I’m around for the next 30 years so we can have the 60th Anniversary!